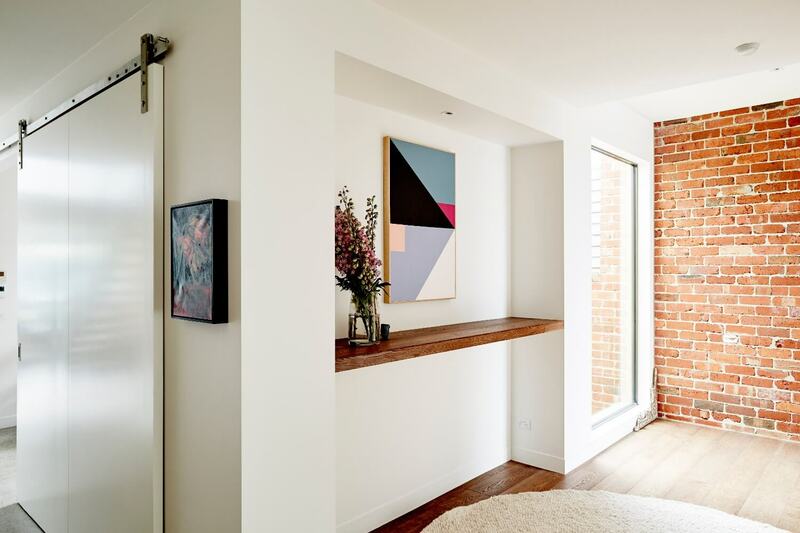 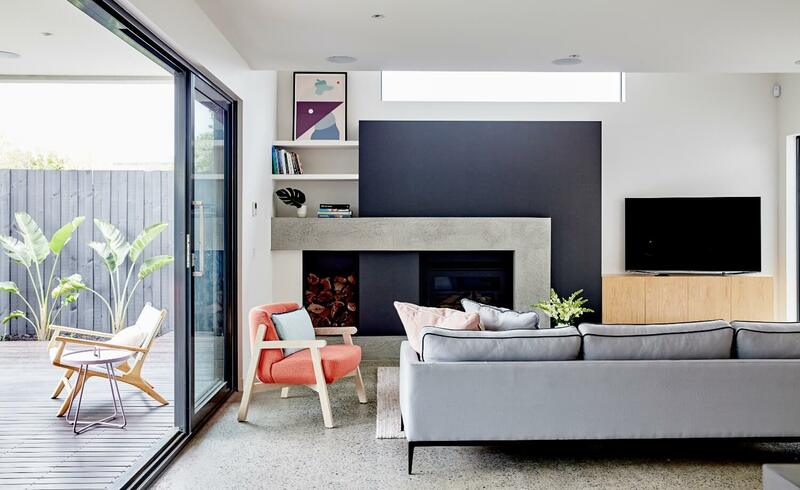 This new contemporary home is the culmination of an innovative design approach and the clever utilisation of space and light. 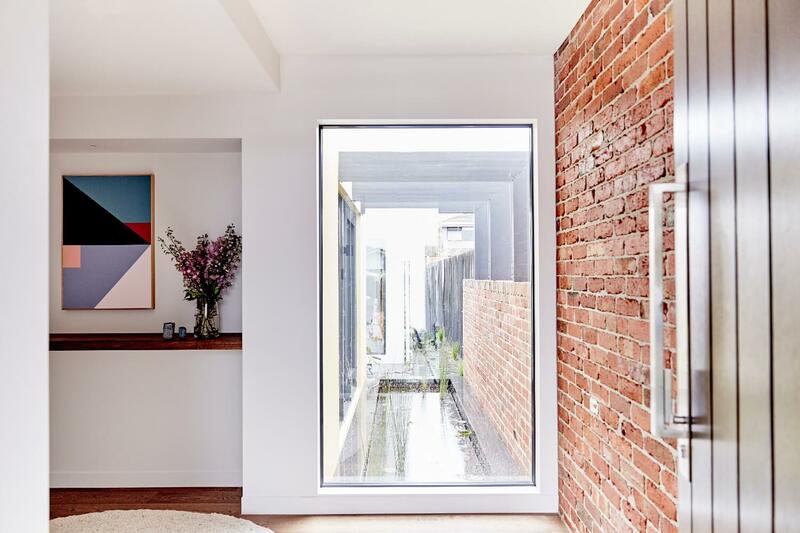 The proposed site presented numerous challenges being on an infill block barely just over 12metres in width, in one of Melbourne’s most progressive inner suburbs and sandwiched between 2 older established homes. 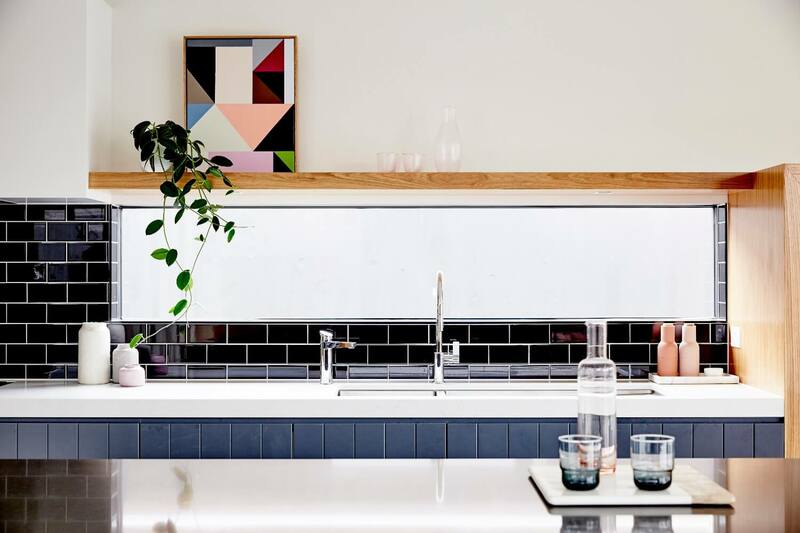 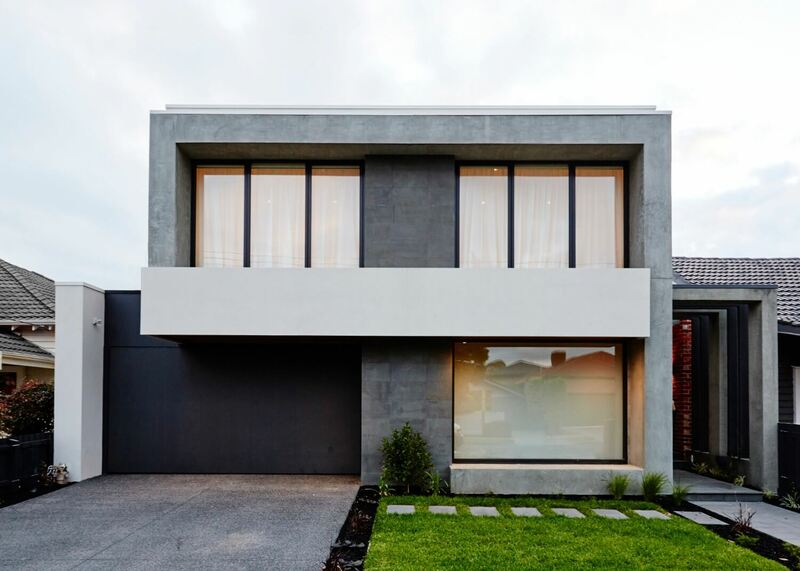 A clever design approach was required to achieve the client’s brief of an expansive and open planned modern family home whilst allowing a visually interesting street presence that would also harmoniously blend into the changing neighbourhood character. 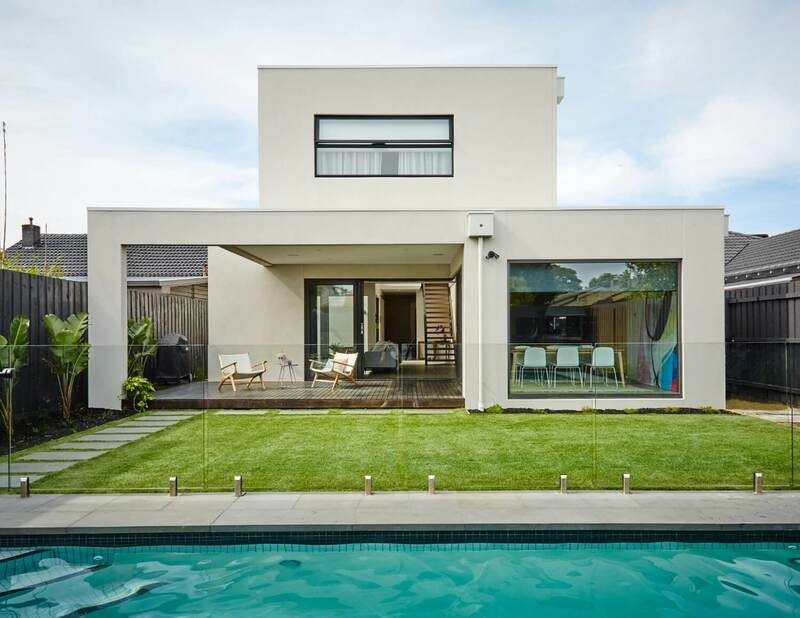 An unconventional entry was chosen to be located down the side of the home, allowing the accommodation requirements to entirely span across the frontage. 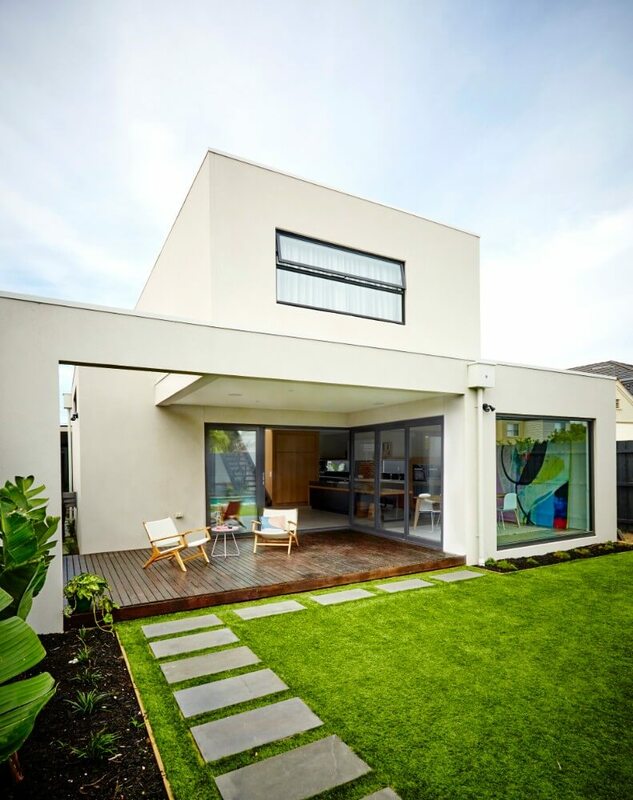 This side Entry way also creates a more interesting approach up to and through the front door as you pass through the landscaped and timber beam portal structure, arriving into the light filled foyer with views through an expansive picture window overlooking a fishpond. 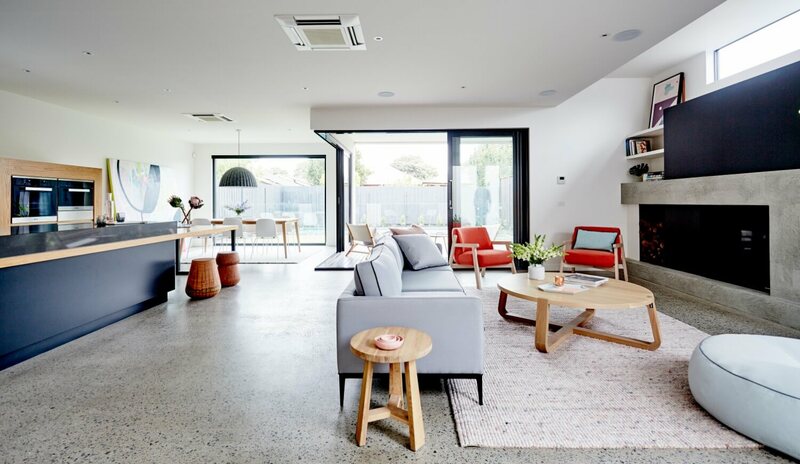 The main open plan living space has been located across the entire rear of the home to both capture the Northern winter aspect and achieving a seamless integration with outdoor entertaining areas and landscaped pool by utilising expansive corner stacking doors that completely open the space up to the backyard. 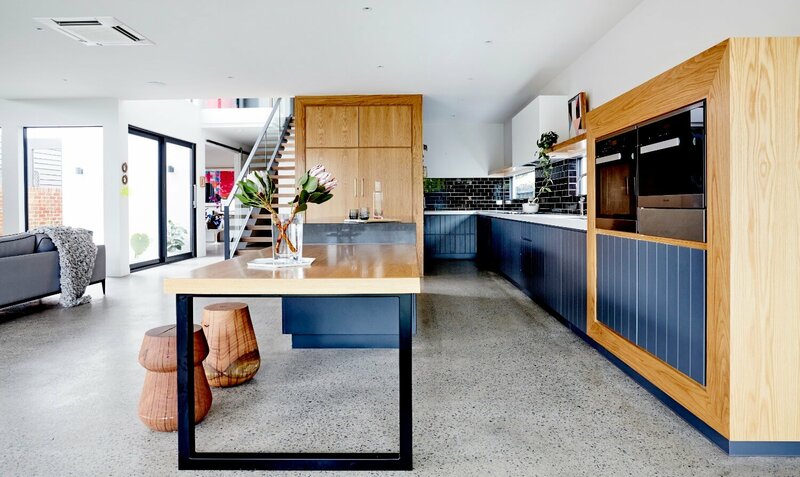 An innovative light court insertion to the middle of the home also helps filter both sun and light right through both floor levels, a sense of volume is felt as you ascend the feature floating open tread timber staircase through this dramatic space, thus adding even more illusion to the size and feel of this home. 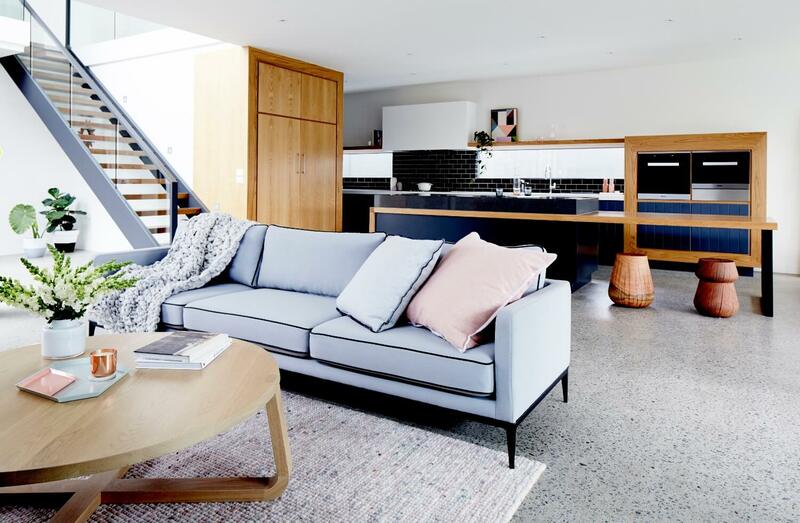 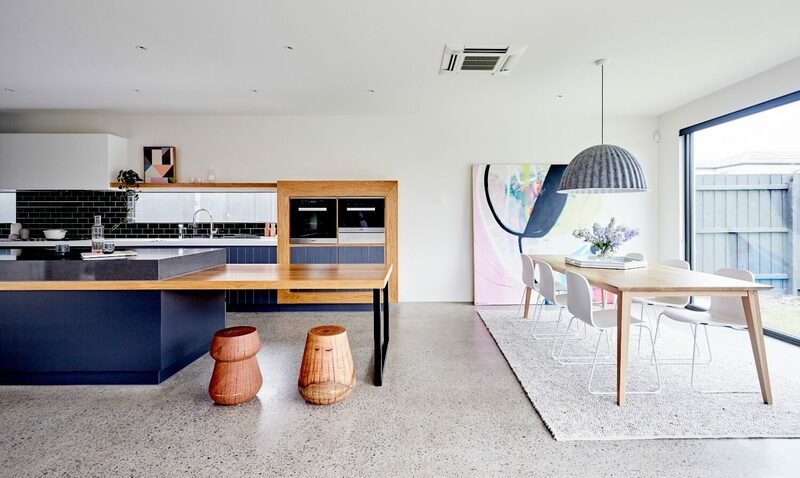 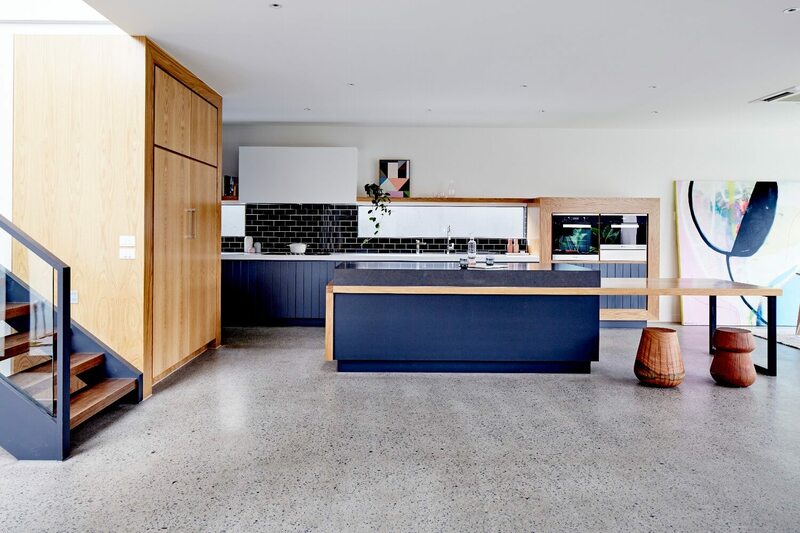 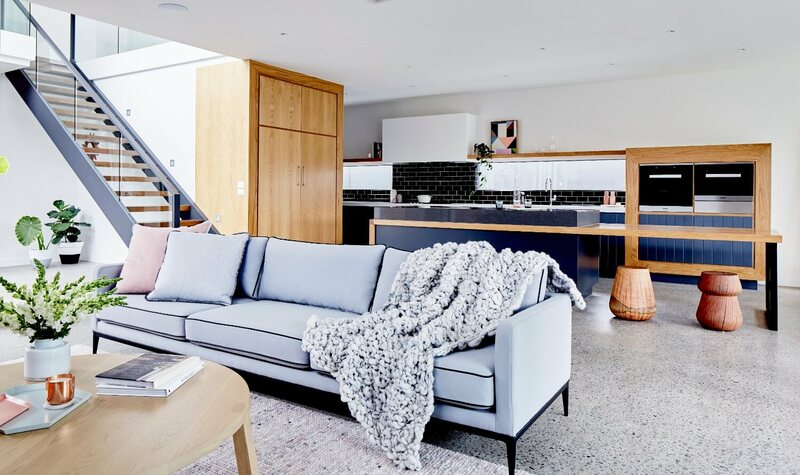 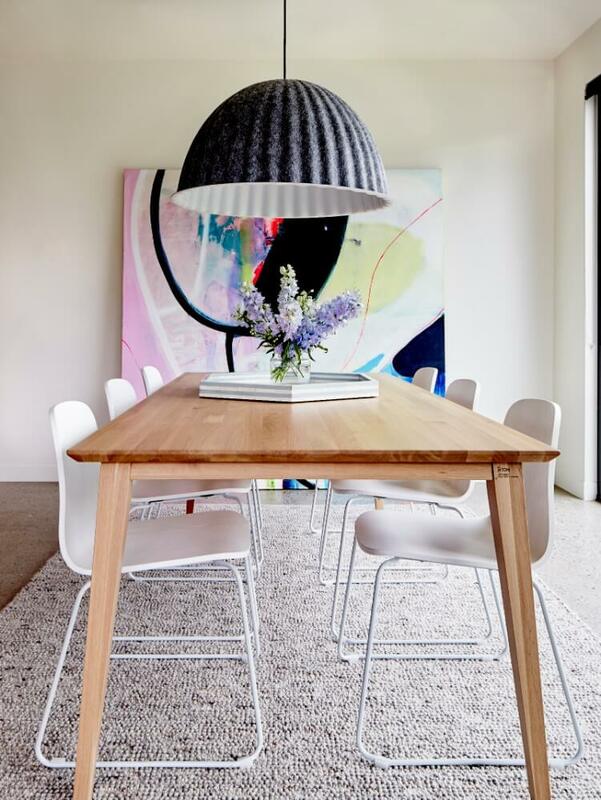 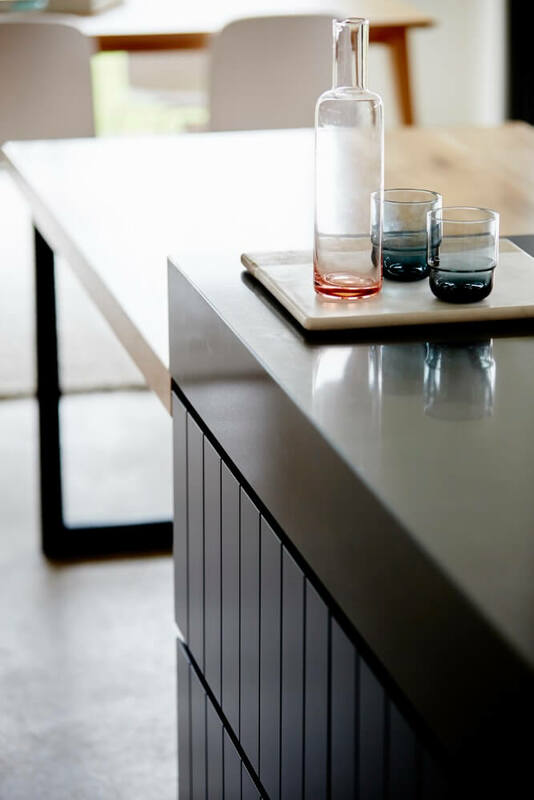 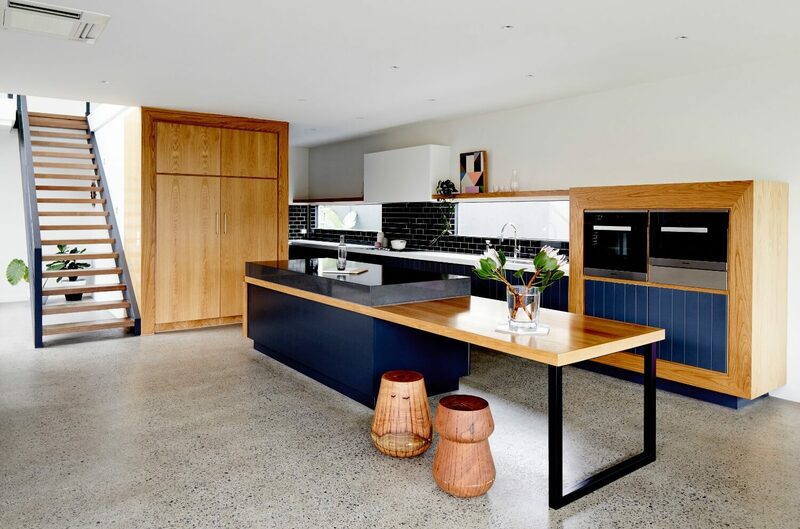 The utilisation of an array of both raw and refined materials like the ground concrete floor throughout is complemented by the natural feel of the oak timber cabinetry, resulting in a masterly crafted contemporary home adored by this family.